1,000 Limited Edition Albums of 'Under the Fog' original recordings were printed with the bands and the original label(H.H.N) permission in 2007. 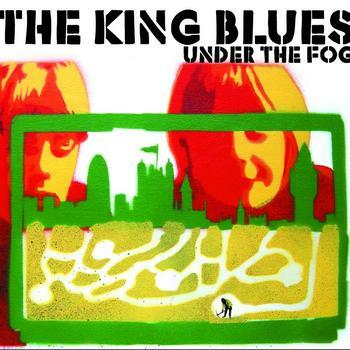 The King Blues also generously donated a bonus track 'If Genghis Khan, then Why can't I? We printed them with quality 180gms Hand Pressed 12" Vinyl. 500 went to the band, 25 for promo and the rest have been selling since then. Now down to the last 25 in the world!! The King Blues have a distinct Clash-like sound, blending reggae-funk, colloquial language and a punkish musical approach in their polemical/social anthems that see them tackle topics such as war, civil liberties and calls for revolt. It’s a breath of fresh air amid the current introversion-perversion, navel-gazing drivel spouted by many of the bands currently clogging up the charts. This vinyl release is eminently collectable, incidentally and, despite retailing for around a tenner, is already fetching $40 on Japanese websites. It seems that after being signed to Island this, the band’s pre-contract debut, was later re-recorded for an Island CD release, making this the recording fans want. Contact +44 776 341 5445 to buy your vinyl copy, but be quick, they’re selling out fast.